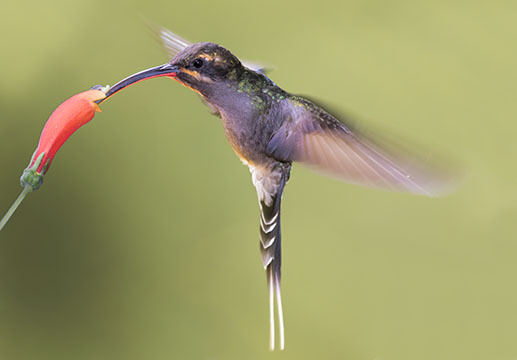 Hermits are a large group of forest-dwelling hummingbirds, with fairly dull plumage, long white tail plumes (usually), and long downcurved bills (usually). 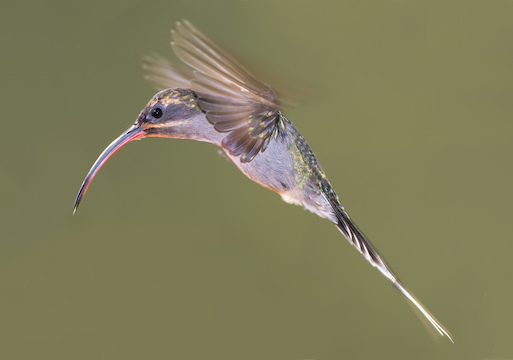 This is the green hermit, one of the most widely distributed of the hermits. 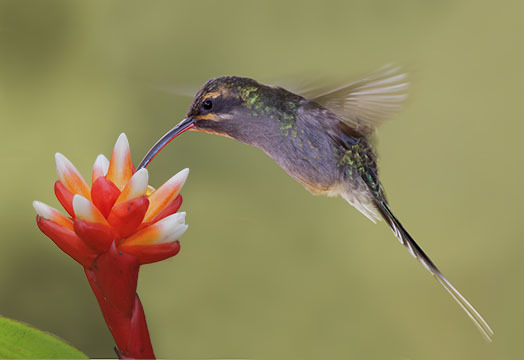 It was photographed at about 2000 m elevation in the Western Andes near Cali, Colombia.